This shop has been compensated by Collective Bias, Inc. and its advertiser. All opinions are mine alone. 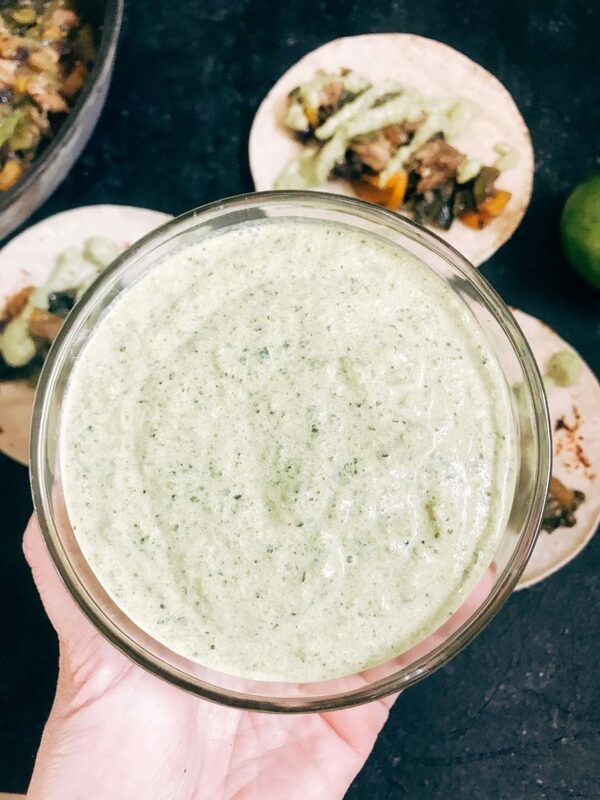 #FronteraExperience #CollectiveBias This Roasted Poblano Lime Crema is made using roasted poblano peppers, lime juice, and sour cream for a simple and flavorful sauce that is perfect with your favorite Mexican meals. I love using this sauce on so many different Mexican food meals. 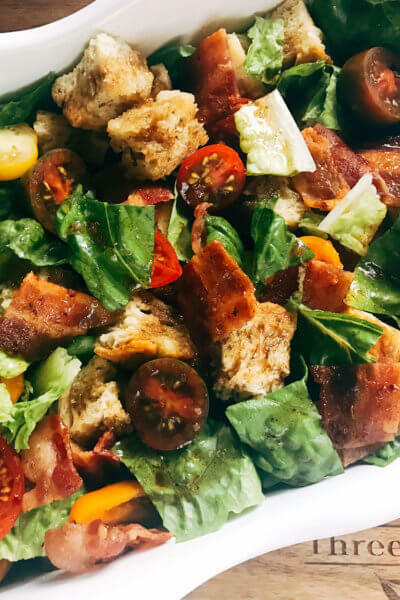 It is fast and simple to make which makes it perfect even for simple meals and entertaining. These Frontera® Skillets are perfect for a Mexican meal made at home, inspired by restaurants, for a dinner party with friends. 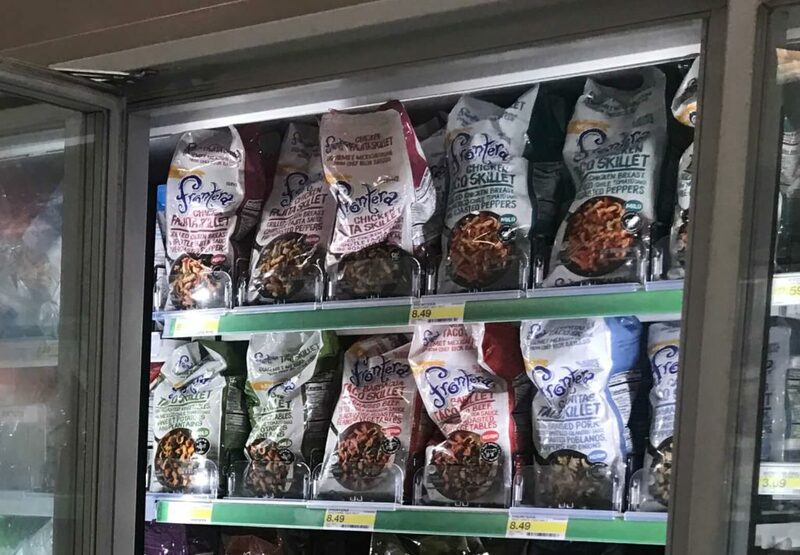 They have five different options to pick from. 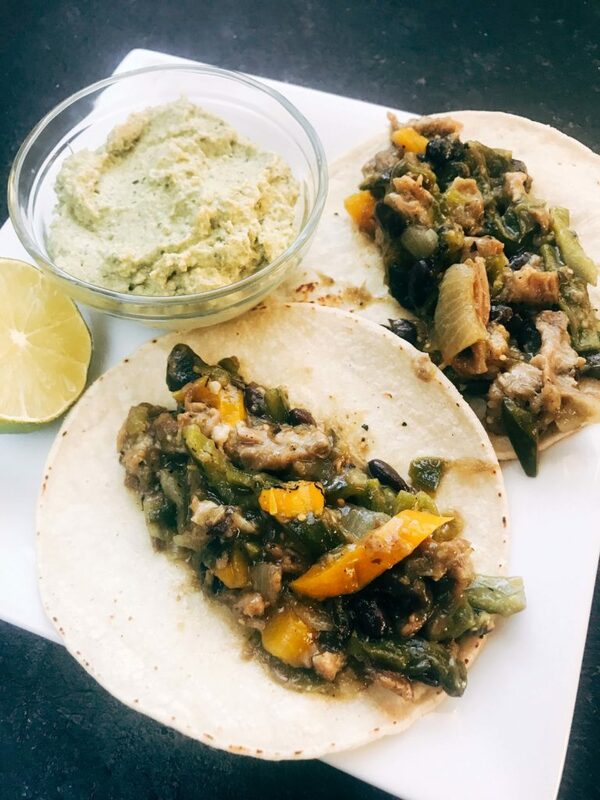 I found this sauce to be amazing with the Frontera® Carnitas Taco Skillet because it shared a lot of the same flavors in poblano peppers and lime mixed in with the slow-cooked pork and tangy tomatillos. 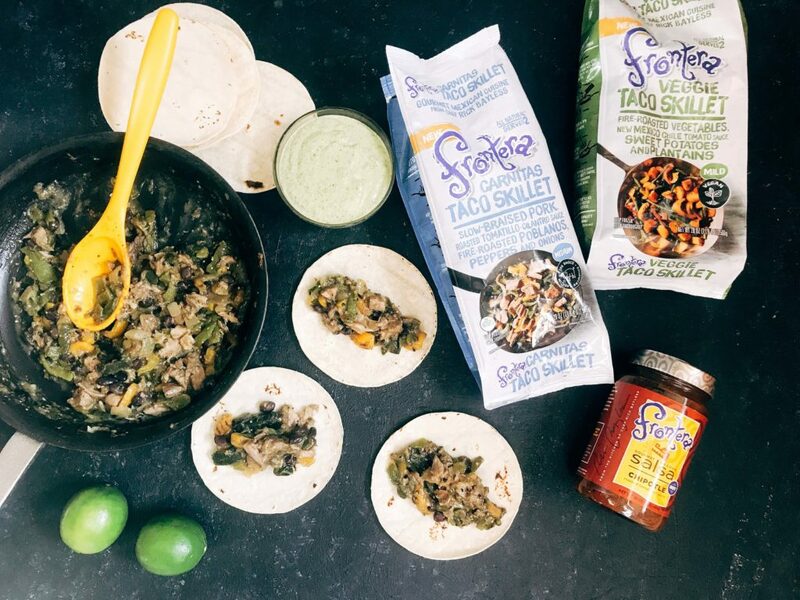 We also love the Frontera® Veggie Taco Skillet, full of crunchy green beans, fire-roasted peppers, sweet potatoes, and tender plantains in an ancho chile tomato sauce! 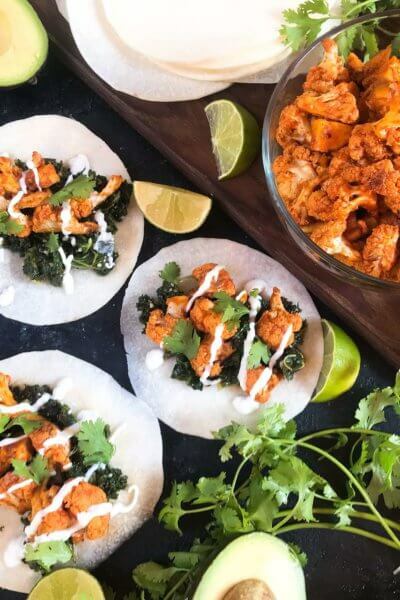 These meals use authentic Mexican ingredients and flavors through time-honored cooking methods. 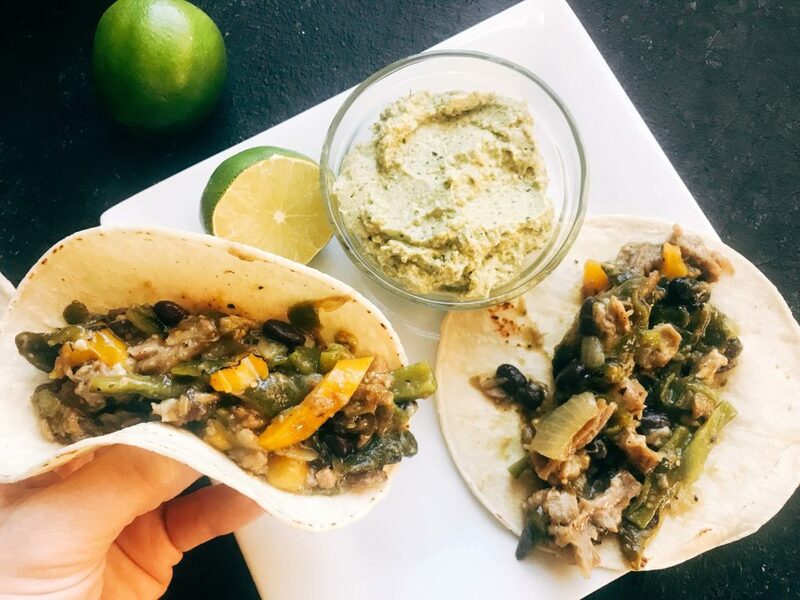 Taco night with friends is quick, simple, and easy with these kits and everyone can get something they love! 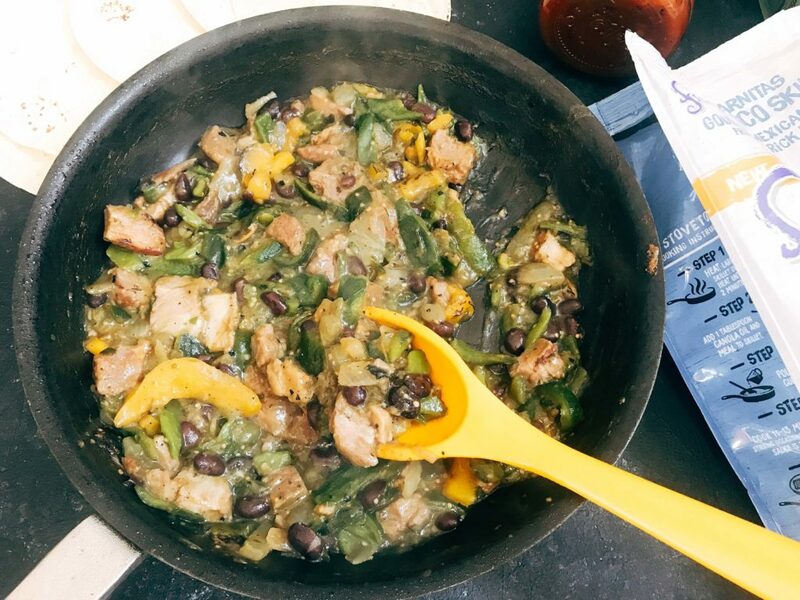 I was really impressed with these Frontera® Skillets immediately because I could see the quality of the ingredients right away, and they read in “plain English” where they are easy to understand what is in them and how they are to be cooked. 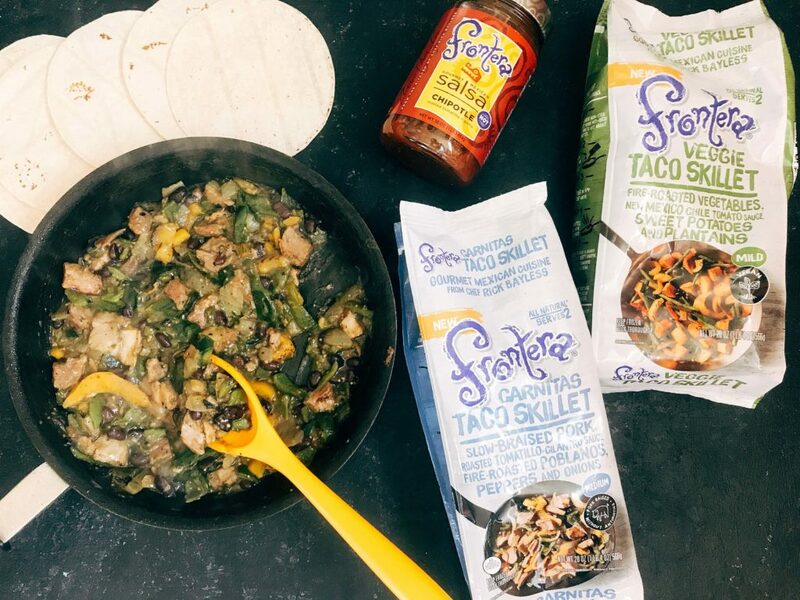 You can find these Frontera® Skillets at your local Target in the freezer meal section, and grab some of their salsa while you are at it! 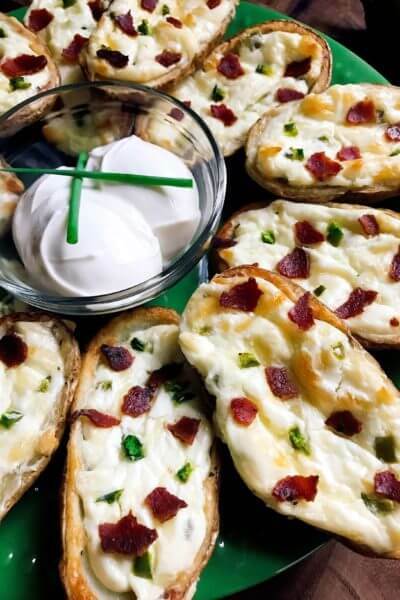 (We love the Chipotle salsa, yum!). 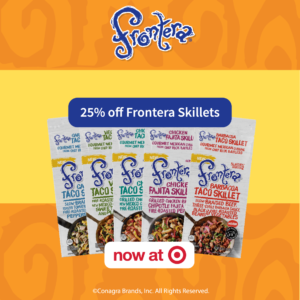 From 10/29-11/25/17 you can get 25% off of Frontera® Skillets at Target. Click here for the coupon! To make the Roasted Poblano Lime Crema, get the peppers in the oven on the top rack and broil them on both sides until the peppers are charred. When done, put them in a bag or container and let them sit for the skins to start peeling off. Once they are resting, I get the Frontera® Skillets cooking. When the skillets are cooking, peel the peppers, chop them, and place them in a food processor or blender with the rest of the ingredients. 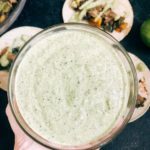 Blend until you have the consistency you want, and you have a flavorful sauce ready to go! Place the peppers on the top rack of your oven. Broil the peppers until the skin is charred, approximately 5 minutes. Flip the peppers and char the second side. 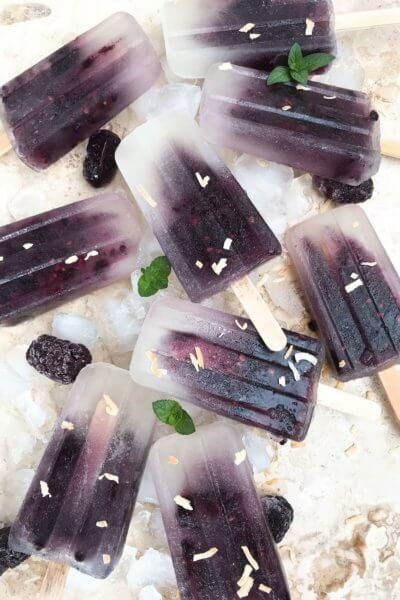 When both sides are charred, remove them from the oven and place them in a sealed plastic bag (such as the one you got them in from the grocery store) or a sealed tupperware container. Let them sit for at least 5 minutes as the steam will make it easier to remove the skins. Peel the skin off of the peppers. You do not need to remove all of it, but get most off. Remove the stems and seeds. Roughly chop the peppers and place in a food processor or blender. Add the lime juice and salt. Process until the peppers are blended to your preferred consistency. Add the sour cream and blend briefly again to combine.